Confession: All free time this week has been spent catching up on Downton Abbey and not writing posts. Both the husband and I are hooked. Total DA junkies. On a whim we tuned in for the first episode of season 3 and loved it. Last weekend I realized that since we're Amazon Prime members we can watch every episode from seasons 1 and 2 for free. It's been downhill ever since then. 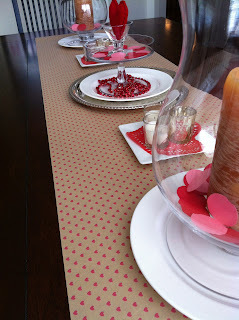 Productivity is at an all time low around here and I'm starting to feel a bit lazy...So here's a quickie glimpse on how we decorated for Valentine's day. It's very simple, cheap, and geared to the juvenile crowd but that's what works for us now. 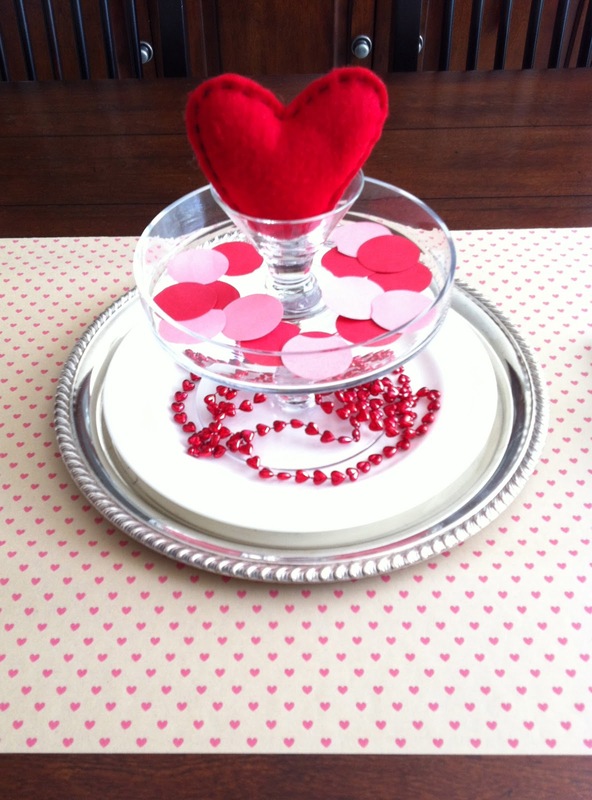 The felt hearts are from a sculpture I made forever ago, I punched circles out of paper, found red heart beads in the junk drawer, and the runner is from a roll of wrapping paper from the $1 Spot at Target. Mix in a few plates, doilies, and candles and bam! 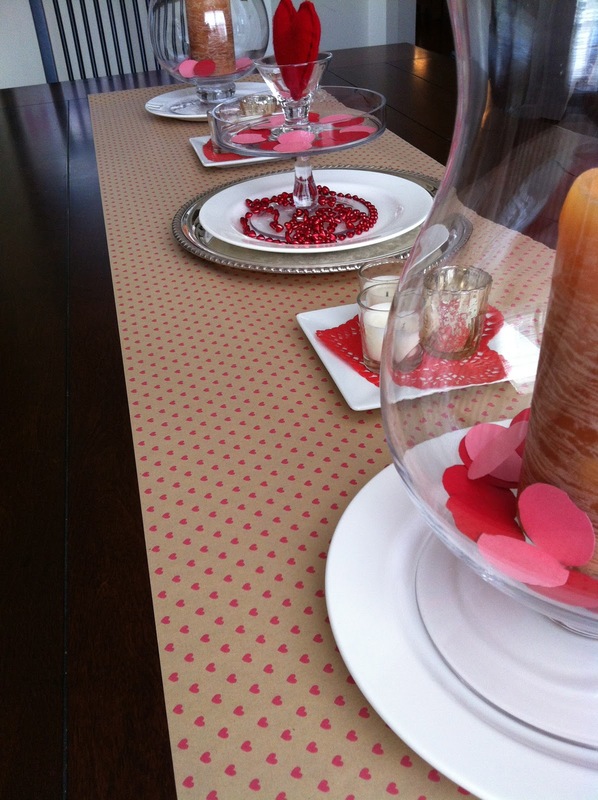 you've got yourself a 30 minute centerpiece that will excite the 7 and under crowd. 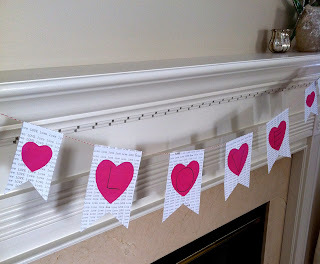 Vaughn helped me with garland for the fireplace. 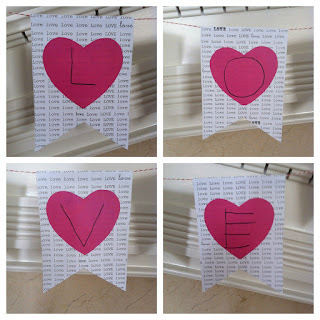 I typed the word Love in different fonts, printed it, then cut them to shape. 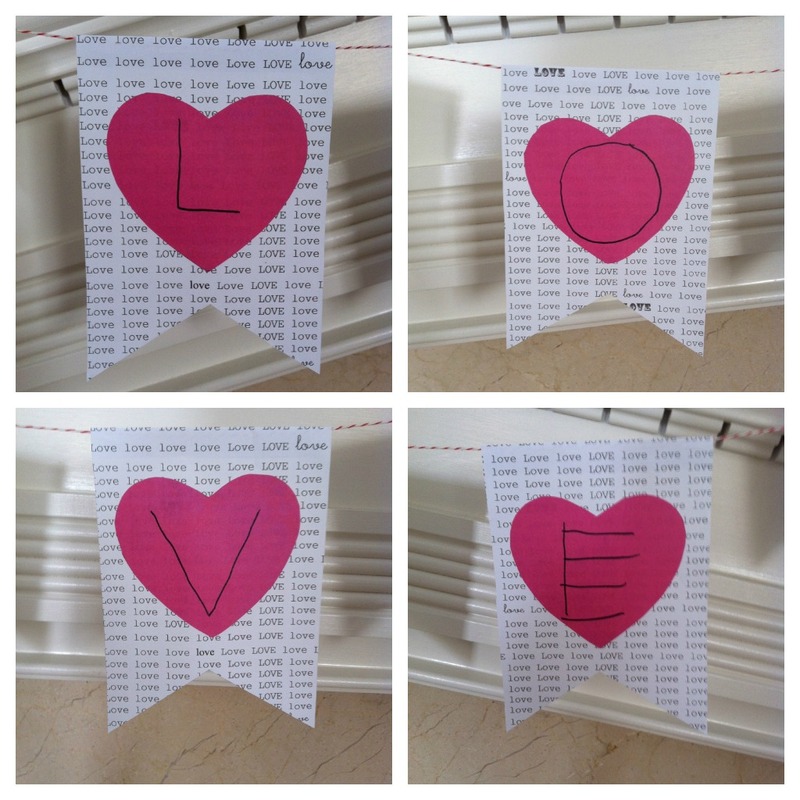 Vaughn wrote the letters on to cut out hearts and then glued them onto the flags. She helped me attach the flags to red and white twine then we taped both ends to the either side of the mantle. Viola! Garland! The kids love it all and I simply love that. I just want it to be fun for them. Any other Downton fans out there?